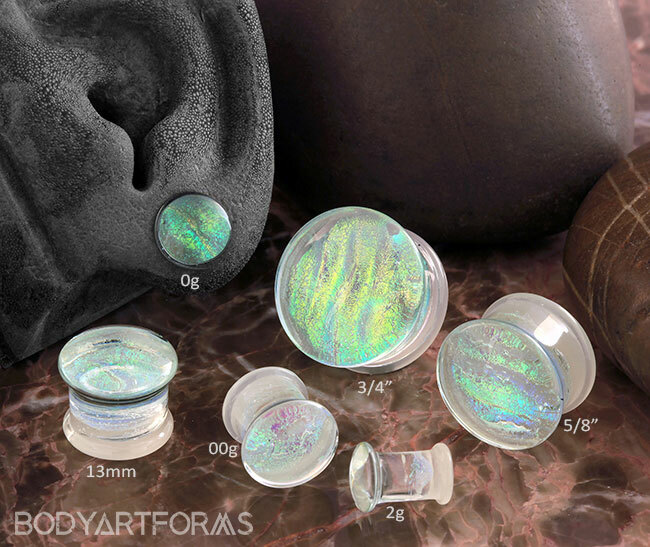 Sizes offered: 2g, 7/16", 3/4"
In an alluring array of iridescent green hues, these luminescent Seafoam glass plugs embody the essence of the ocean. Available in sizes 2g through 3/4". The back flares measure 1.5mm to 2mm larger than the gauge size.